A North West teenager has been jailed for 12 years after being found guilty of manslaughter. Daniel Bamford, 18, of Harvey Lane, Wigan, was found guilty of manslaughter following a trial at Preston Crown Court in February. He had also admitted at an earlier date one count of possession of class A drugs with intent to supply and two counts of supplying Class A drugs. Following today’s (Tuesday) hearing Bamford was sentenced to a total of 12 years in prison. Two other men Paul Swift, 44, of Hinckley Road, St Helens and Reece Hignett, 18, Gordon Street, Leigh, admitted assisting an offender at the start of the trial. Swift was jailed for four years and four months and Hignett received two and a half years in a young offenders’ institution. Around 4.15pm on August 25, police were called by the Ambulance Service to an address in Hazel Avenue, Darwen, after reports a man and woman had been stabbed. Emergency services attended and despite the efforts of both paramedics and response officers, the man, later identified as Michael Keen, was pronounced dead at the scene. A post mortem examination showed he had suffered multiple stab wounds, having been stabbed 15 times: three of those wounds were to Mr Keen’s head and neck; there was a further wound to his left upper limb; one wound to the left flank; Michael Keen had also sustained no less than ten wounds to his back, three of which were particularly deep, penetrating wounds. The jury deliberated for 14 and a half hours before delivering a manslaughter verdict. A 42-year-old woman suffered two stab wounds and was taken to hospital for treatment. Detectives quickly established a Merseyside-based organised crime gang supplying drugs in the Darwen area was linked to the killing. Michael Keen, who was known to the group, was forced into allowing Daniel Bamford, a gang enforcer, to oversee the supply of drugs from Hazel Avenue. The pair became involved in an altercation, with Bamford stabbing Mr Keen, fatally wounding him and making off from the scene. Following extensive enquiries, Bamford was arrested a day later and eight other suspects – including Swift and Hignett – arrested for offences including being concerned in the supply of controlled drugs or assisting an offender. Bamford, Swift and Hignett were later charged and the remaining men released. 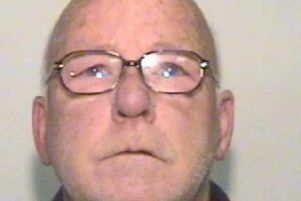 Bamford was sentenced to 12 years in prison, with an extended licence of four years. Detective Inspector Zoe Russo, of Lancashire Police, said: “This was a challenging and at times complex investigation which I am pleased to say has resulted in the imprisonment of Daniel Bamford today. “Bamford is clearly a dangerous and violent offender whose actions led to Michael Keen’s death. “Mr Keen died at his home address after receiving a significant number of stab wounds. These injuries were inflicted by Bamford in a violent assault. “While no sentence can replace the loss of Mr Keen, I hope it provides his family some form of closure.